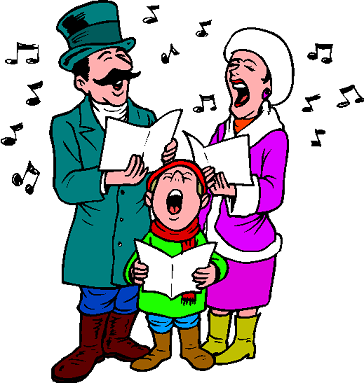 In many countries, including Britain, there is a tradition of carolling, in which groups of people go from house to house singing Christmas carols. The singers are rewarded by householders with mince pies, drinks and gifts of money. The money collected is usually given to charity.